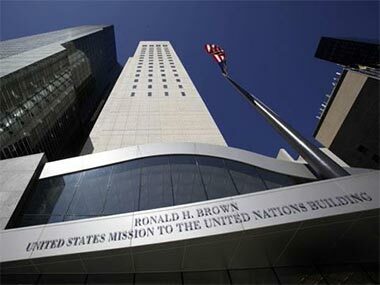 RGBS was the prime contractor for the US Mission to the United Nations Metering Project. The implementation of an Advanced Metering Infrastructure was required for revenue grade measurement and verification of utilities. This project encompassed 7 buildings requiring approximately 28 new meter installations and coordination with multiple engineering/Government IT teams. Additionally electrical and mechanical contractors were supervised on these installations. RGBS teams performed site survey, design, and engineering. Engineered drawings provided installation detail for networking, metering, and monitoring hardware and software components. After the complete installation, the monitoring system automatically collected and analyzed electrical, steam, fuel oil and gas data through PowerLogic ION software and hardware. The project was successful and the GSA is monitoring all the data in Washington DC where there existing servers are located. This Project was built upon the existing PowerLogic ION system, which contains hundreds of Advanced Electrical Meters, many more gas, steam, and water meters into and PowerLogic ION Software for Energy Efficiency and Reliability which has grown since the 1990s. We Provide Solutions to Your Energy Control Needs Throughout the Tri-State Area.